Class I deadwood tree removal: Class I deadwood removal consists of removing dead, dying, or broken limbs and branches that are approximately one inch in diameter and larger. This is detailed and time consuming work, and is not recommended for most homeowners. Class II deadwood tree removal: Class II deadwood removal consists of removing dead, dying, or broken limbs and branches that are approximately two inches in diameter and larger. This improves the health and aesthetic qualities of the tree while reducing the potential hazards presented by falling or fallen limbs. 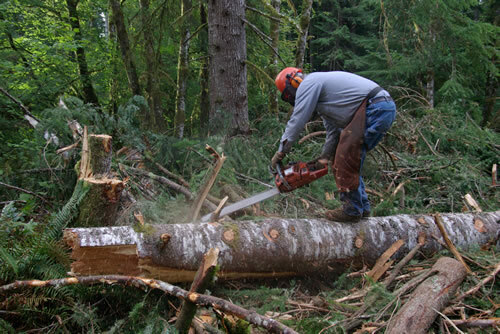 Class III deadwood tree removal: Class III deadwood removal consists of removing only those dead, dying, or broken limbs that are over approximately three inches in diameter. We sometimes refer to this as "fast deadwood removal". Apart from routine emergencies, we are uniquely qualified to do your tree removal. We own a spiderlift that is insulated electrically and can do a lot more than just get to those hard to reach places. We are also trained and experienced in removals near electrical or cable wires. These kinds of removals can be especially dangerous so it's extremely important to have an experienced and insured professional doing the job. Building clearance consists of tree trimming or pruning in order to prevent damage to structures by contact with tree limbs. Where possible, live oak limbs are pruned to 3' from any structure, and other species will be pruned as far back as 4'. 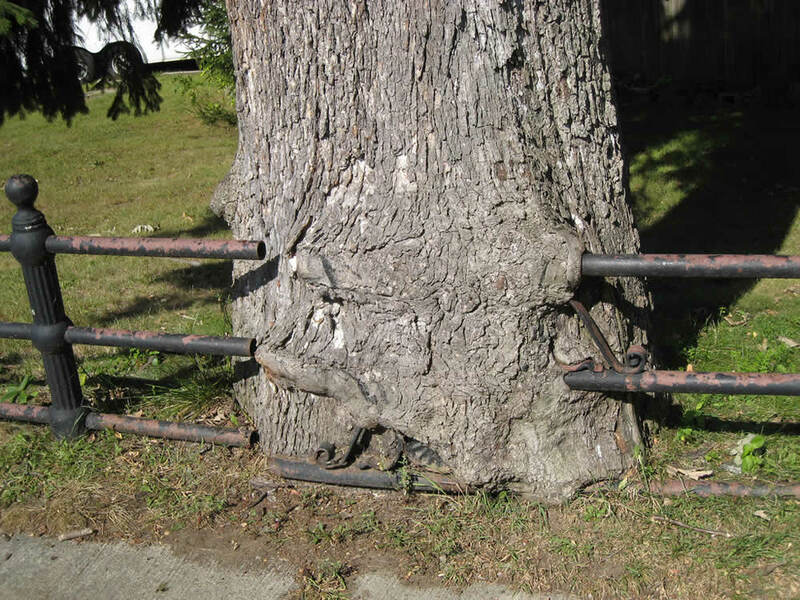 This allows enough space between trees and structures that, with normal growth, the procedure should not need repeating for at least three years. In parking lot areas and driveways, canopies are routinely raised to at least 12' above the ground wherever possible, in order to provide clearance for vehicles. Trees over walkways may be raised to the client's specifications. Canopies over city roads are raised to at least 14', in accordance with city ordinance. Stumps are ground to approximately six inches below soil level. 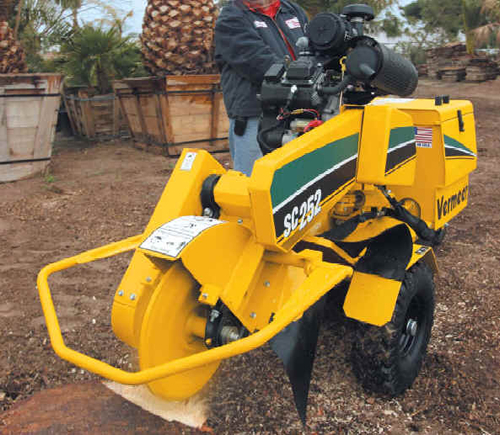 Note that we must have adequate space in which to maneuver a large stump grinder, so unfortunately we are not able to grind stumps that are situated in very tight spots. We also cannot grind stumps that are located immediately next to paving, concrete, stonework, etc. Tree Risk Assessment is a necessary service in the Austin area due to the age of our city and the size and needed placement of our trees. We want our trees close to our houses in order to provide shade, but this can pose very expensive problems in the future if the tree is at risk of falling into your house. An intensive mulching and aerating treatment used to relive soil compaction and increase white fibrous growth on tree roots. Just Trees offers a full range of plant health care services, including deep root fertilization, ball moss treatments, and disease-specific treatments. We also treat trees for Oak Wilt Disease. If your trees are ailing, call for a consultation and we will recommend the most appropriate course of action. Our ISA Certified Arborists can guide you through the process of protecting your trees during the construction process. We highly recommend starting with a pre-construction consultation so that we can help you to navigate Austin's tree protection ordinances and advise you on how best to protect your trees before beginning construction. If you do not need work done at the present time, but would like recommendations for your trees, consultation fees start at $75. 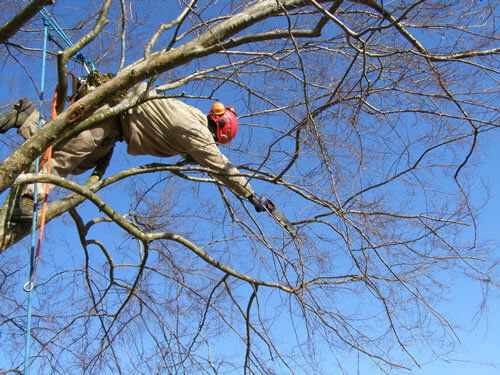 If, after a consultation, you decide to have us perform your tree work, we will waive or deduct the consultation fee.